If you started the new year with a gym membership but find your resolve is already fading, consider these helpful hints. 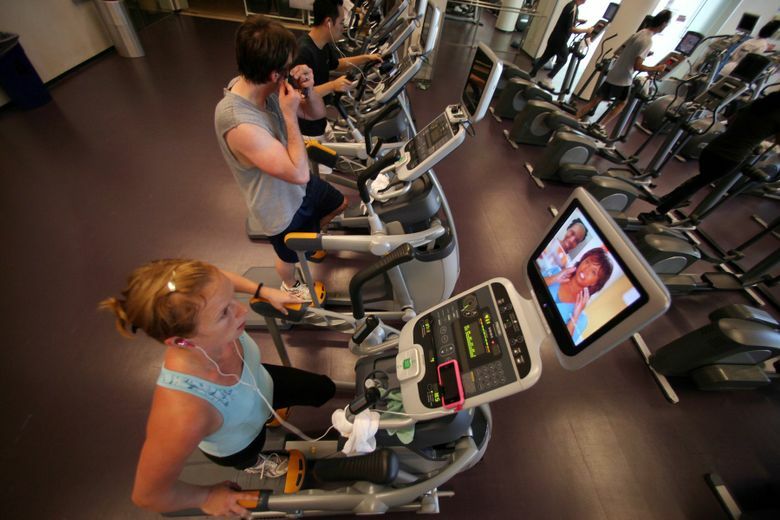 By now, some of you have joined a gym as part of a well-meaning resolution, but are already having some doubts. Don’t feel bad. It happens every year. Here are tips to help you stay with it. — Set a goal. You are more likely to exercise if it has a point. You may — and should — aim for a healthier life, but tangible steps help you get there. — Don’t be a slave to the goal. You may miss, have a setback or not see progress. So what? Just keep trying. — Know thyself. You can’t go from couch potato to the new you overnight. Ease into things. Go too fast and you may hurt yourself and lose your commitment before you taste success. This happens all the time. — Don’t feel pressure. It often helps when someone, whether a trainer or a friend, pushes you, but they aren’t in charge. You are. — Have fun. Why make the workout even harder?